As I fly from St. Louis to Phoenix this evening, I wanted to share an update on another successful conference with the United State Institute for Theatre Technology. This truly wonderful event is a chance for theatre technologists, managers, designers, and others from all over America and the world have a chance to connect. This year, over 5000 attendees participated in panel discussions on a wide variety of panel discussions on lighting, projections, technical direction, costumes, and so much more. Everyone also has access to the expo floor, which features hundreds of manufacturers and employers who came to St. Louis just to mingle with us! USITT, for me personally, is an important chance to network and meet people from all around the country. Every year, I end up with new friends spanning from coast to coast, and we do keep up with each other! The theatre community is so small, it’s always fantastic to expand your network whenever you have the chance. USITT provides a great mixture of education on very relevant topics we’re facing in the industry today, as well as hands on demos with the latest equipment. 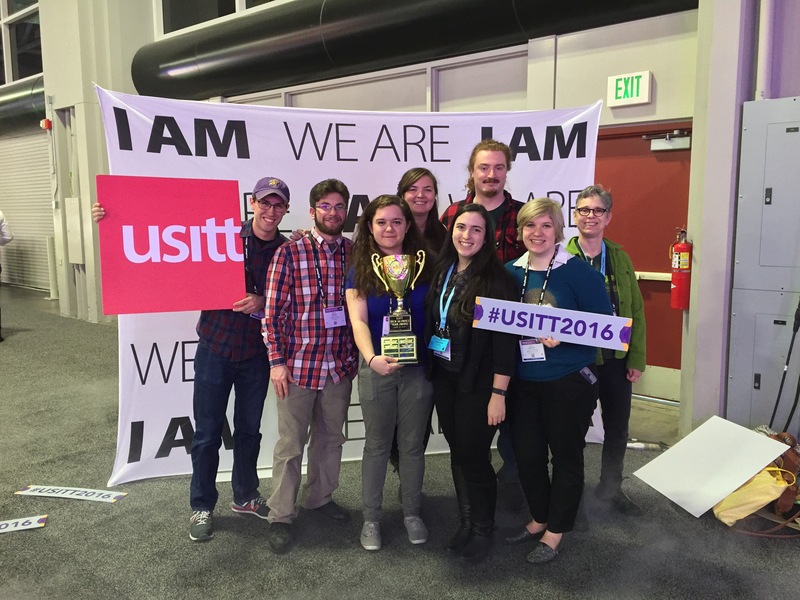 For a little fun – When I visited the USITT Expo in 2015+2016 with my fellow Emerson students, we competed in the annual national Tech Olympics. This is a super fun event with timed challenges in all disciplines. I’m proud to say that the Emerson College Greene Beans have extended the award winning legacy taking home the top team prize for the third consecutive year. Congrats especially to Mitchell and Daniel for placing second in the lighting hang/focus/strike challenge, an event near and dear to my heart. I had a fantastic time at this year’s conference, and hope to continue to be an active member of the USITT community for many years to come! Today, I fly out to St. Louis for my third USITT Conference and Expo! Here’s a throwback to a year ago when the Greene Beans took it all. I’ll share some parts of my journey here! Fun weekend in the quiet and relaxing middle of nowhere. Congratulations Ryan and Kelsey!